End of day Trench 5. End of Day for Trench 3. Day 1 saw an excellent start to Holwick Well Head dig, with near perfect weather and an excellent turnout of Altogether Archaeology members. The 2017 excavation saw an extension to Trench 1 across an adjacent house platform as 'Trench 1a'. Trench 1a has become this year's Trench 3, as it is being reopened and fully excavated. There is some evidence that it may be a twin celled house platform, so that too will be investigated. Very close to Trench 3 is Trench 5, which is a scooped house platform, that like Trench 3 also appears to be twin celled. Initially Trench 3 is looking at the scooped end, but it is very likely to be extended to include both cells. Some three hundred or so metres to the west is Trench 4. 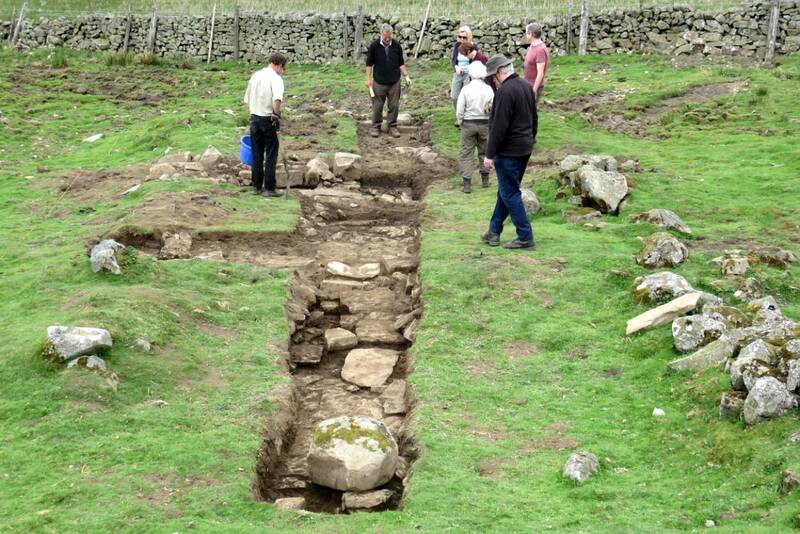 This trench is looking at fragment of a circular earthwork to see if it a roundhouse platform or a small enclosure. The image above right, shows Trench 4 near the end of a good day's work. 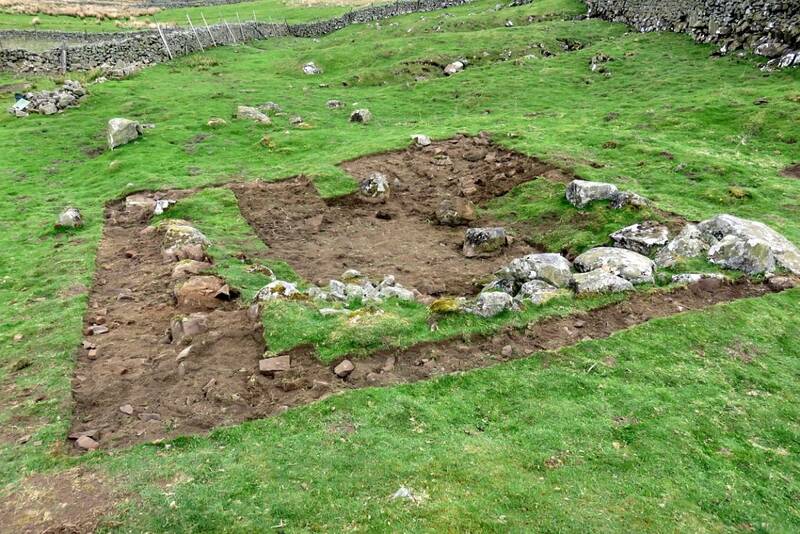 The image above left: shows starting to de-turf Trench 5 (foreground) and Trench 3 in the background. 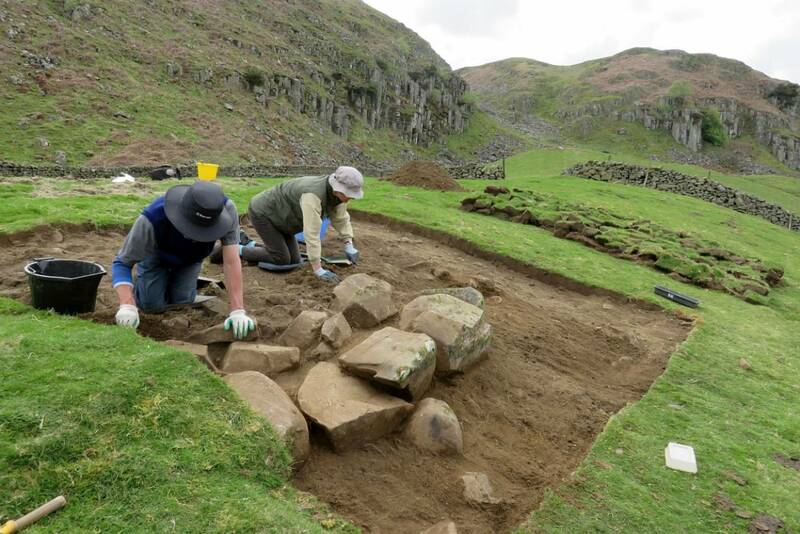 The images below left and right show Trenches 5 and 3 at the end of day 1. 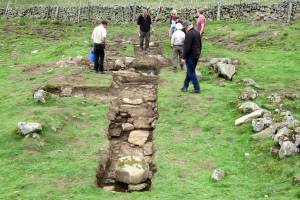 Two guided archaeology walks and two site visits have been arranged. 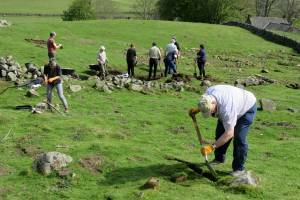 If you want to attend either then read the Holwick Excavation Update by clicking this link. Please follow our progress by checking this daily blog.